UMass Amherst composts over 1,500 tons (3 million lbs) of food waste each year making composting the largest recycling stream on campus. 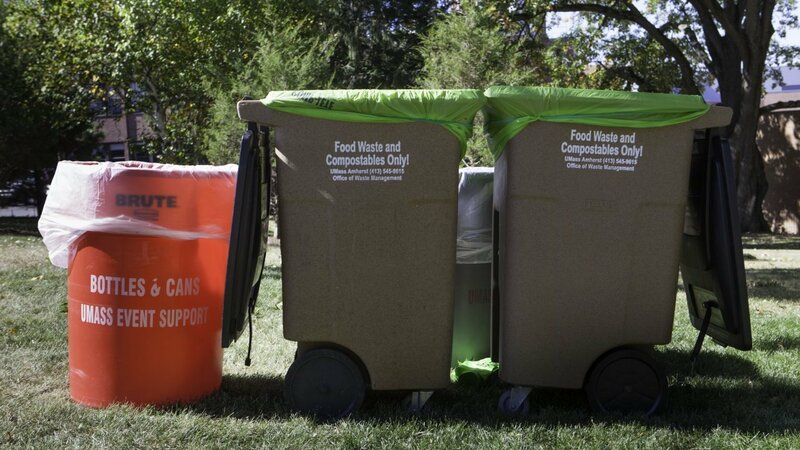 Composting bins are available across campus in dining commons and cafes. Composting is also available to administrative offices that participate in the Green Office Program. Many events on campus offer composting services. More information about Green Events here. In 2015 a compost pilot program was initiated in North Apartment D. The positive results from the initial pilot program led to an expansion of the pilot program. For more information about composting at UMass Amherst visit the Office of Waste Management Compost page.